Penny stocks to watch update: Global mergers and acquisitions have been occurring at an astonishing pace in 2014, with more than $2 trillion in transactions announced year to date – an amount not seen since 2007. Sectors that have seen the biggest M&A activity over the last three months include commercial services, technology services, consumer services, finance, and health technology, according to FactSet. The average premium paid in deals billed as mergers of equals so far this year is 11.9%, compared with the average of 25.6% paid in other takeovers, according to Thomson Reuters. And the pace of M&A activity is only expected to continue thanks to low interest rates and companies' flush cash hoards. Indeed, American companies are currently sitting on some $1.53 trillion in cash. In addition, takeovers fuel more takeovers. When an industry starts consolidating, numerous companies are up for grabs. Large industry players don't want to sit on the sidelines while their rivals grow, and so those mulling potential acquisitions are motivated to act. Some of the richest takeover premiums resulting in big share-price gains can come from penny stocks. For example, ZipRealty Inc. (Nasdaq: ZIPR) shares skyrocketed 122% on July 16, surging from $3.02 to $6.70, after Realogy Holdings Corp. (Nasdaq: RLGY), the nation's largest real estate brokerage, announced it is buying ZIPR for $6.75 per share. Picking takeover targets can be tricky, but a good place to start is niche micro-cap companies with growing revenue. 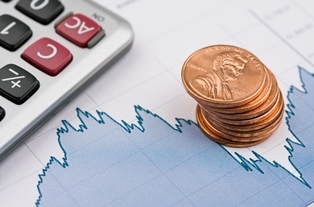 Following are two penny stocks in "hot" sectors that recently posted solid Q2 results, making them attractive takeover targets. Camtek Ltd. (Nasdaq: CAMT) provides automatic optical inspection systems that examine various types of electronic product components for defects during the manufacturing process. The Israel-based company reported Q2 revenue of $23.2 million on Tuesday, up 4% year over year (YOY). Gross profit totaled $11.5 million (49.5% of revenues), a 17% YOY improvement. Shares rose some 25% to $4.35 intraday Tuesday after the results.